Gyama valley is a broad agricultural tributary of the Kyi Chu river, situated to the east of Lhasa. Barley fields sprawl across this valley floor, which is splendid with small villages, settlements, and temples, including the shrine commemorating the birthplace of Song Tsen Gampo. The trekking takes us 4 days from Gyama to Samye and is one of the finest routes in central Tibet. After visiting Samye Monastery, we will trek across Yarlung Tsangpo River and drive to Tsetang. The next morning we will go to Lhasa. From Lhasa, we continue our journey by driving to Tashido near Namtso Lake and camp there for one night. From Namstso Lake it will take 3 days to trek to the town of Damshung via the Kong-La pass, a route that is simply unforgettable. So, what’s keeping you to be part of this adventure? Is the capital of the Tibet Autonomous Region in the People’s Republic of China. It is located at the foot of Mount Gephel and is one of the highest provincial capitals in the world. It is the location of the Potala and Norbulingka palaces (both are included as World Heritage Sites and is the birthplace of Tibetan Buddhism. The Jokhang in Lhasa is regarded as the holiest center in Tibet. Lhasa literally means “place of the gods”. At an altitude is 3,490 metres (11,450 ft), Lhasa is one of the highest cities in the world, covering a flat river valley in the Himalaya Mountains. Day 02-03: Sightseeing tour of Lhasa. Drive to the little town of Yama Do (Gyama) and organize our trekking gear. We camp in tents. 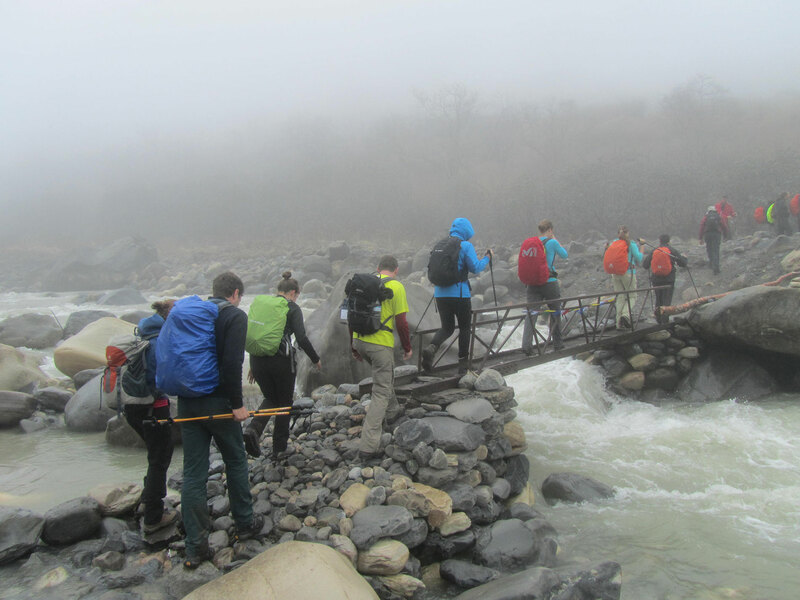 3 days fabulous trekking from Gyama to Samye monastery. Here we will see what the beauty is of the first Buddhist monastery built in Tibet. After visiting Samye monastery we continue across Yarlung Tsangpo River and drive to Tsetang. Tsedang County sits on the south bank in the middle section of the Yarlung Tsangbo River with a moderate climate at an altitude of 3,600 meters. The mild weather and fertile land in Shannan gestated the great Tibet dynasty. Tsedang is considered as the birthplace of earliest Tibetans who were said to be the offspring of a monkey and a demoness, so Tsedang literally means “monkey’s playground”. Day 11: Drive to Tashido of Namtso Lake. Namtso is renowned as one of the most beautiful places in the Nyainqêntanglha mountain range. The lake lies at an elevation of 4,718 m, and has a surface area of 1,870 square kilometres. Trek from Tashido near the lake we go over the Kong-La pass to Damshung and camp there. There is a nice description of the sightseeing during this trek on Google books. We drive back to Lhasa. Transfer to airport for our return flight to Kathmandu in Nepal.